Between 1 – 22 December 2018, our knitted (yes, knitted) sheep can be found in various shop windows within the town of Beverley. Each has a name. 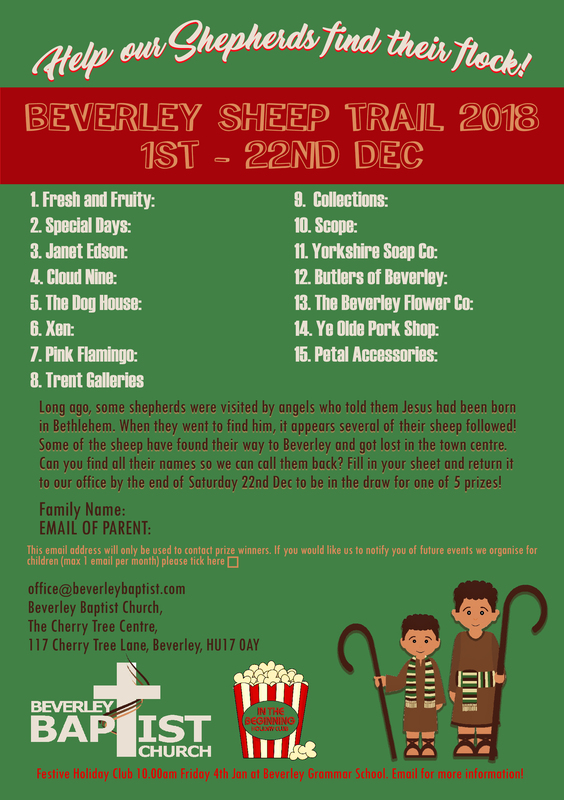 Find each sheep and write the names against the shop you found them in using the application form and send it back to Beverley Baptist Church complete with your family name, a parent/guardian’s email address and give us permission to contact you, for a chance to win a prize.